Moving interstate can be a big life change - an exciting one, but also potentially a stressful and expensive change. But it doesn’t need to be. 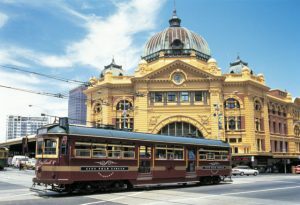 Australian Container Removals Melbourne is here to provide the best price and the best service for your move Interstate. If you need to pack up your furniture, whitegoods and other possessions and are looking to save money look no further. Our experienced interstate removal team based in Melbourne will provide you with a 20ft or 40ft shipping container to pack. We deliver the empty container to your home at a date and time that suits. You simply pack the container when convenient and at your own pace. There are tie rails located inside the container on the floor and roof so that you can tie your boxes, furniture and white goods down as you go to keep them secure. Once you have completed packing the container, close the doors and secure the doors shut with your own padlock (make sure you keep the key in a safe place). We will then collect the container and transport it Interstate to your new address location. If you require storage in Melbourne or Interstate we can also assist with this. Once you have received your container, you can unpack at a pace that suits and then advise when you have the container empty. We will then return and collect the empty container and take it away. Need tips on packing? Read here! When you’re looking for shipping container removals Melbourne, trust the experts with over 20 years of experience in container logistics. Get in touch with Australian Container Removals today, simply call 1300 857 851 or contact us online.